The first time I tried Panki was at Swati Snacks in Mumbai and I remember I was blown away by the dish. Panki, a Gujarati dish, is a steamed pancake made from a simple batter of rice flour and yoghurt which is allowed to sit and ferment slightly for 3-4 hours. This is then flavoured with cumin, ginger-garlic-green chilli paste, turmeric, curry leaves and salt. You apply a thin layer of this batter on a banana leaf, cover it with another banana leaf and cook it for a couple of minutes. 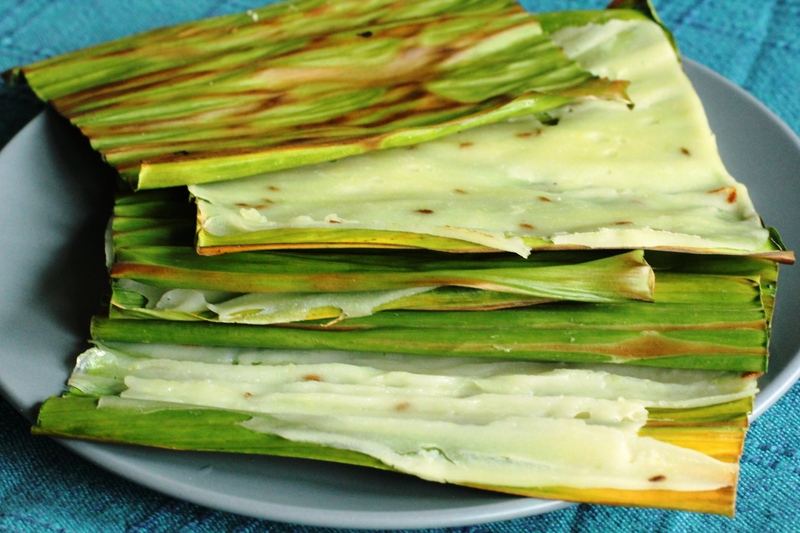 The batter sets and coats the banana leaf forming a tangy and spicy, thin, steamed pancake. At Swati snacks this used to be served with a fresh green chutney and would disappear down my throat in a matter of seconds. Yum! Yum! Yum! Craving for panki, I decided to give it go the other day and must say I was extremely pleased with the result. 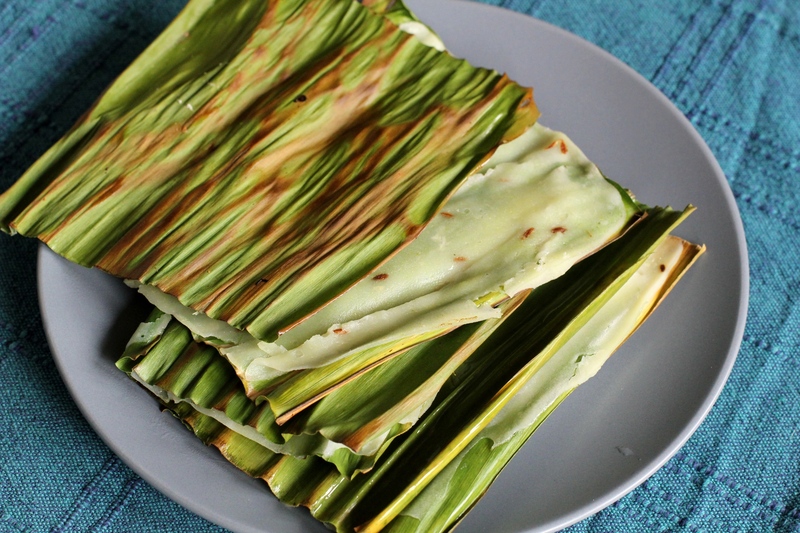 A little less batter per banana leaf and I would be able to get a panki that was almost as good as the one from Swati snacks! This entry was posted in Mumbai memories and tagged gujarati snacks, indian pancake, panki, savoury. Bookmark the permalink.